Living the Moment | The Secretan Center, Inc. In these fast and furious times, we all seem to be searching for greater meaning in our lives. We’re fed up with credit cards and major debt, houses and vehicles we can’t afford, gloomy economic forecasts and political uncertainty. A yearning for simplicity, contentment and substance is replacing the quest for status and material gain. Suddenly everyone is talking about values, love and peace of mind—in the workplace, at home, and in all of our relationships. Issues Dr. Lance Secretan has been talking about all along. Secretan, author of the international bestseller The Way of the Tiger, and 15 other leadership titles, has given us a great gift in Living the Moment. It is a lavishly produced book, with stunning illustrations, and a touching, meaningful story. Its central characters are Hawk and Eagle, Native North Americans who embark on a Vision Quest that exposes them to the fundamental truths of their lives. Along the way they learn many lessons, the greatest one being that they must “live the moment”. If we treat each moment as a privilege, a sacred sense of belonging and fulfillment will envelop us. In the tale of Hawk and Eagle, the brothers discover they often viewed acquisition as an end. Secretan has often used parables and fables to convey his message, and this ancient method has proved to be both enlightening and entertaining. 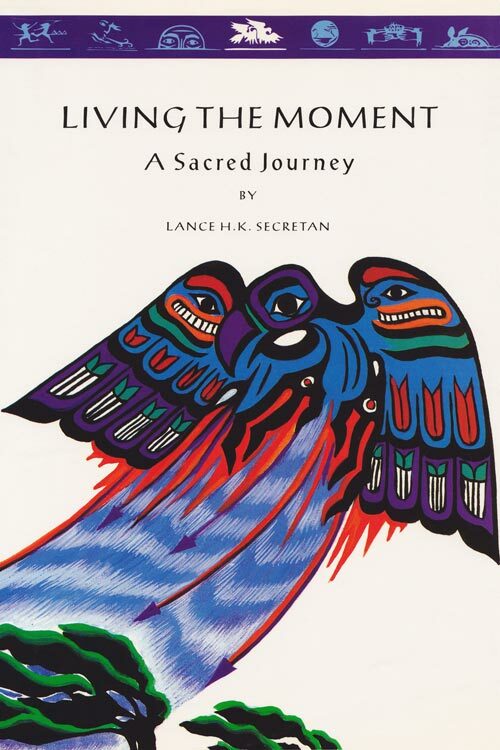 Living the Moment is a sacred journey, not only for Hawk and Eagle, but for all of us who are ready to change our attitudes and live a simpler life, based on spiritual rather than material values. Included with the book is an audio version of the story performed by Theater and Company with original music and narration by Secretan. The book, together with resources found on this website, offers a comprehensive system for raising the level of inspiration in any organization.